Providing supervision for trainee and qualified counsellors. We can all develop to our full potential, but this can become blocked or distorted by past and present life experiences, such as trauma, abuse, difficult relationships, bullying, bereavement, or illness. You may replay the same behaviours towards others without understanding why. You may be stressed, anxious, panicky, angry, depressed, fearful, lacking in confidence and self-esteem. I would help you to understand your experience from your point of view and reconnect with your inner resources so that you can move forward. 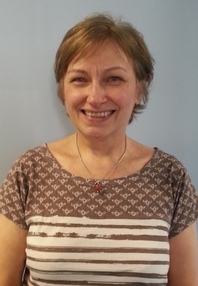 I worked successfully within the NHS and Mind with children and young people who were experiencing mental health issues that affected their everyday functioning, such as exam anxiety, school attendance, generalised anxiety, panic attacks, OCD, depression, low self-esteem, bullying, peer/friendship and behaviour problems. I worked with parents to help them to help their children overcome their difficulties, and to manage their children's behaviour, and on parent-child issues of attachment, bonding and relationship difficulties. Supervision promotes self-care, continual learning and professional and personal development. The supervisory relationship is a collaborative one and as such, it gives us the chance to stand back and reflect upon the issues arising from our client work within the safety of a ‘therapeutic triad’. Whilst our client work can be incredibly rewarding and satisfying, it can also lead to stress and burn out. For example, the emotional disturbance that we absorb from our clients can cause us to doubt ourselves and our ability to function in our work. My role as supervisor is to balance support with challenge to create a safe, supportive space in which the disturbance is felt again, reflected upon and learnt from. Other factors may also be causing us to feel overwhelmed, drained and unable to work at our best. These could include pressures put upon us by the organisation and the society we work in, or problems we’re experiencing in our private lives. Supervision allows us the space to stop and take stock of where we are and highlights where we need to go. I strive to provide supervision which is positive, supportive and validating to benefit you and ultimately your clients.